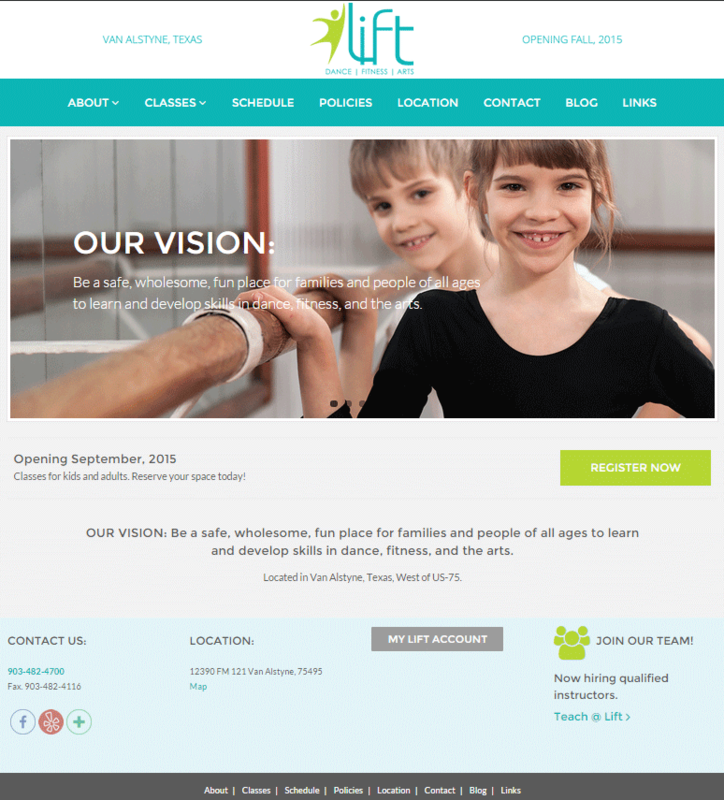 Lift Dance and Fitness is a new studio that specializes in ballet, and also has a variety of group fitness and dance classes for adults and kids. We created a new website integrated with the client’s chosen class registration system. The Texoma area needed more fitness options, so it was a pleasure to help launch a brand new avenue for fitness here in South Grayson/Northern Collin County! If anyone needs me, I will be hanging from a yoga hammock. Services provided: New website, JackRabbit class management integration, local search. Logo provided by client.